Join me for another fall craft class Sept 25-27 (with one morning class on Tues 26th, 10-2pm), Sign up for just one or make them both. Either way we can't get enough of our favorite time of year. 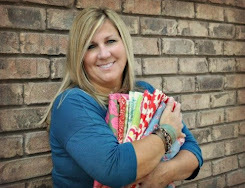 Class includes all you need, presewn fabrics and all the accessories to finish these one of a kind creations. I love doing Halloween people so I hope you enjoy these. They are becoming my favorite so far. Bring your own glue gun and scissors if you have them. Some will be provided. Time: 6:00pm for all the evening classes Tues AM class is 10-2pm. ** Class sign up cut off date is Monday Sept 11. (due to my vacation). This is a great idea. Fun project to do with the kids. It will also go so well with all the other Christmas decorations.